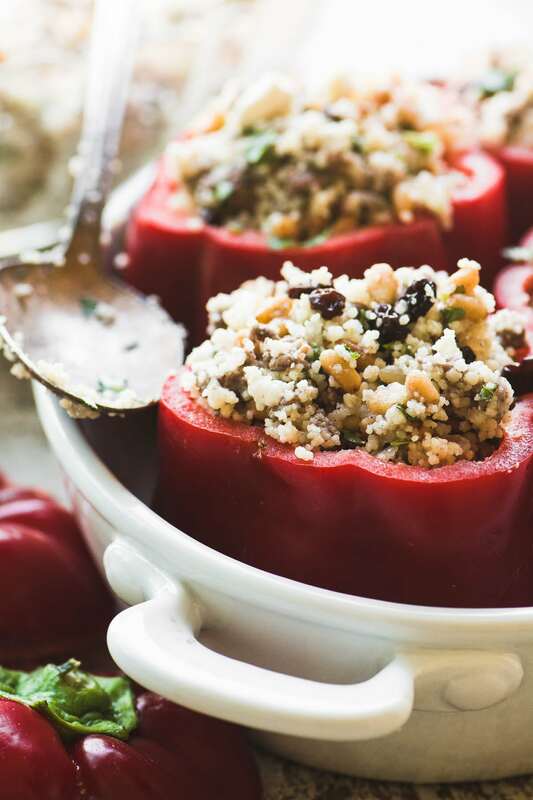 Spiced Lamb and Couscous Stuffed Peppers ~ this classic comfort food gets an exotic makeover with ground lamb, lightly spiced with cinnamon, allspice, cardamom, and nutmeg, along with fluffy couscous to replace the traditional rice. The aroma is swoon-worthy! 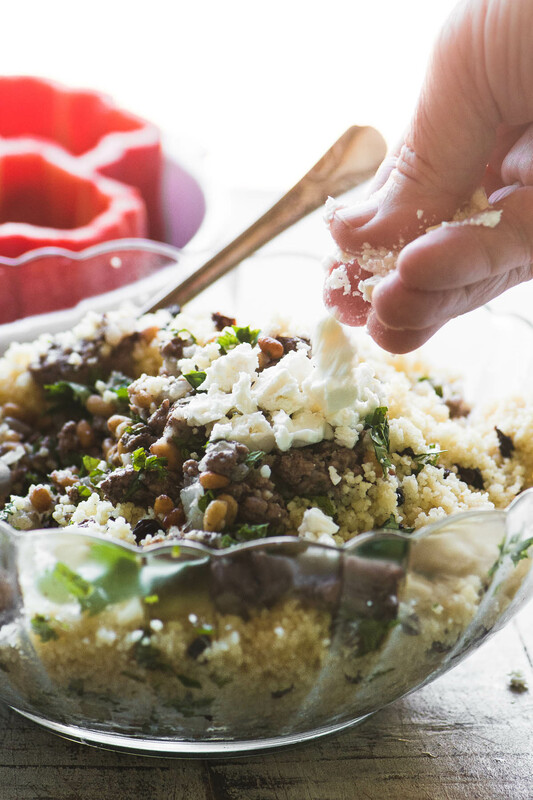 I love to create recipes where animal proteins, in this case lamb, aren’t the star of the show, but part of a cast of delicious characters all working together in unison. I love to put meat and plant based foods on equal footing, and here the spiced lamb is just one of the many flavors that make up this dish. I get lots of inspiration from other cultures where meat is treated more like an accent rather than the main focus of a meal. 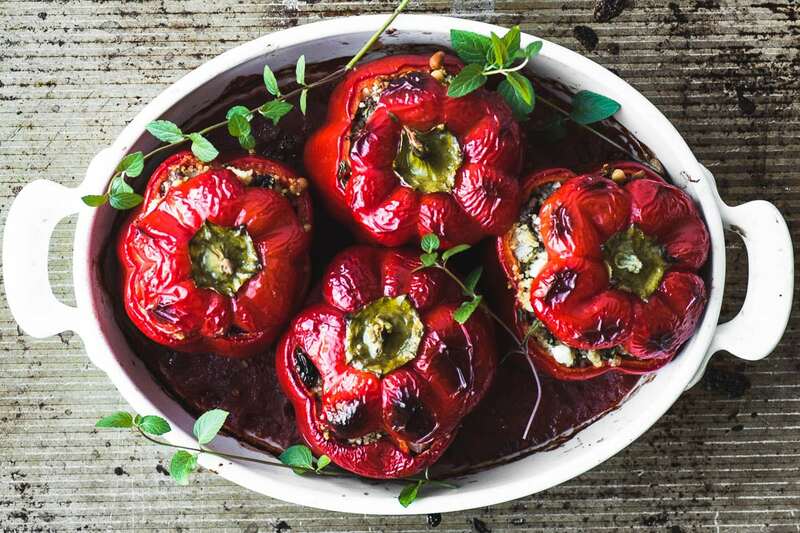 In these stuffed peppers 12 ounces of ground lamb stretches easily to feed eight. My beautiful red peppers are stunning to begin with, the color really pops. But they get even more brilliant after cooking. Best of all, they keep their structure and their ‘bite’, never getting mushy. I purposely don’t pre-cook them like so many stuffed pepper recipes advise. Tenting the pan in foil keeps enough steam in to tenderize the peppers while keeping them firm. Couscous is a great binder for stuffed peppers because it stays fluffy, unlike traditional rice which can get starchy and stodgy. I like to add pine nuts, (toasted first!) and currants for a punch of texture, flavor and sweetness. You can substitute dried cranberries for the currants, and walnuts for the pine nuts if you have trouble finding them. 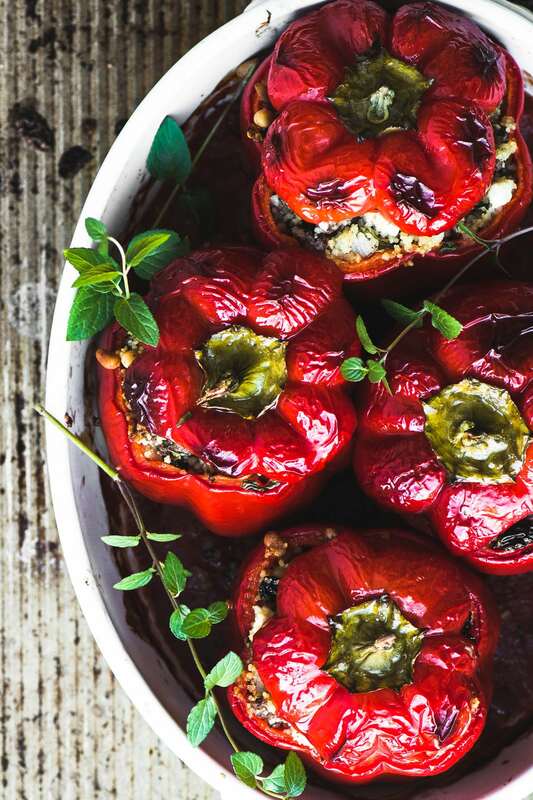 Feta cheese gives the filling for these stuffed peppers a nice sharp tangy element. I make sure to mound the filling into each pepper because I know it will shrink down a little as it cooks. I want each pepper to be a satisfying meal in itself, no skimpy peppers for me. Pomegranate molasses is an amazing ingredient that I won’t be without. 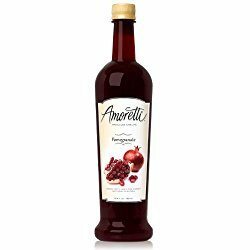 It’s basically pomegranate juice that has been reduced down to a thick syrup, and the flavor, as you might imagine, is explosive. It adds a pop of sweet/tart flavor to so many dishes from dressings and dips to all kinds of sauces and marinades. It needs no refrigeration and lasts a long time in the cupboard. Hint: You can make it yourself, too, I have instructions here. Slice the tops off of your peppers and reserve. Remove the seeds and veins from the insides of the peppers. Brown the ground lamb and the spices in a skillet, breaking apart the meat as you cook. After it is well crumbled and no longer pink, remove it to a plate. Add a drizzle of olive oil to the pan and sauté the onions and garlic for a few minutes, until translucent. Remove to the plate with the lamb. 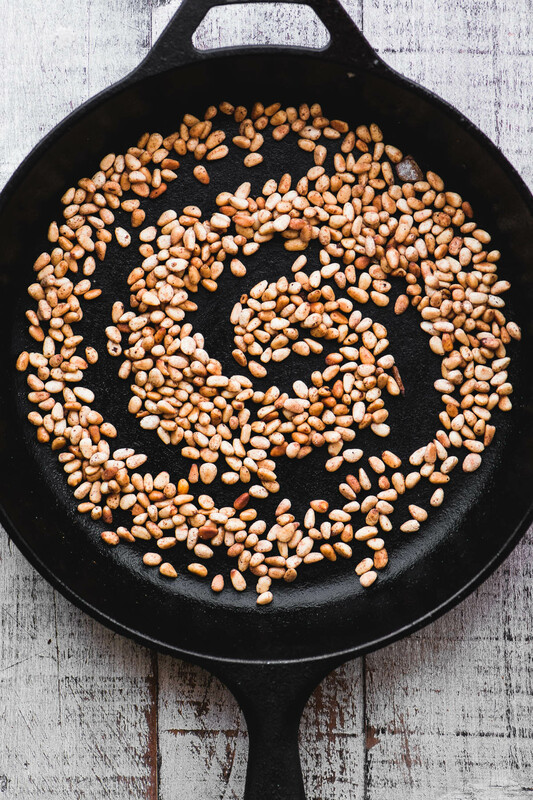 Add the pine nuts to the pan and toast, stirring almost constantly, until they turn golden. Add a touch of olive oil if the pan is dry. Add back the meat and onions to the pan, along with the cooked couscous, currants, and feta. Mix well, and season with salt and pepper to taste. I like to drizzle in a little pomegranate molasses, if you have some, but it's optional. Pour the tomato sauce into the bottom of a casserole dish that just fits your peppers. Arrange the peppers on top. Fill each pepper with the filling, pressing down slightly to insure each one is completely filled. Mound the filling up a bit at the top. Replace the tops loosely on the peppers. Cover the casserole dish and peppers with a sheet of foil. Crimp the foil along the sides of the pan so the peppers can steam. Bake for about one hour and 20 minutes, removing the foil for the last 20 minutes. The peppers should be tender and slightly browned. 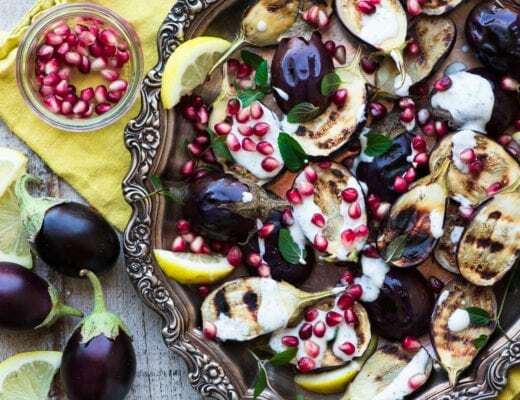 Serve with yogurt mint sauce on the side. To make the yogurt mint sauce, blend the ingredients together in a small food processor. 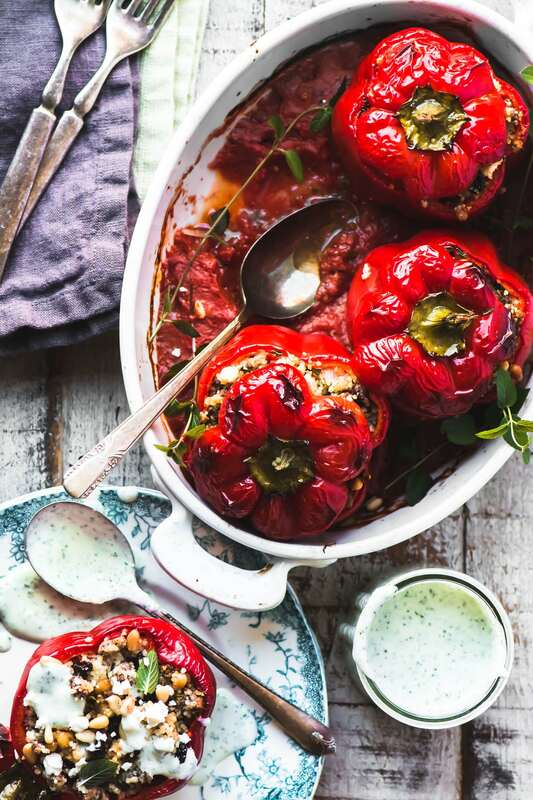 Mediterranean Stuffed Peppers ~ a vegetarian stuffed pepper. Greek Style Stuffed Artichokes ~ if you love artichokes, this is the ultimate! 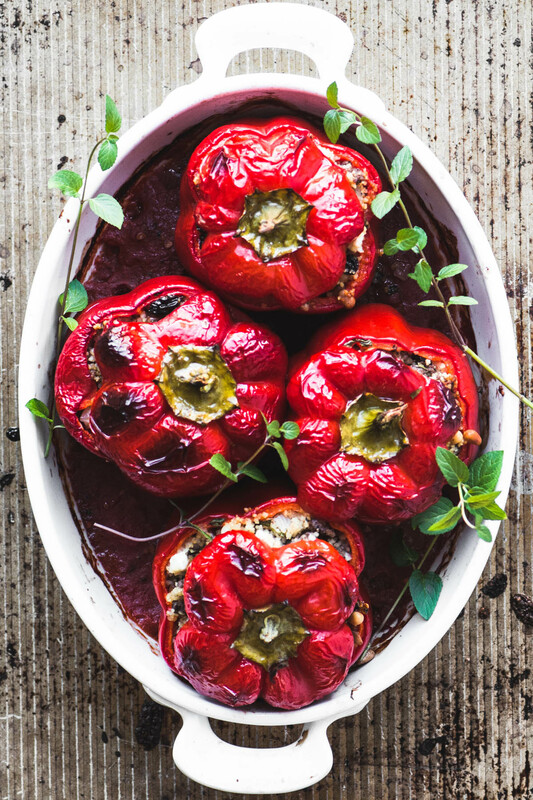 Provencal Style Stuffed Onions ~ these make a great side dish for fall and winter meals. Stuffed Bell Peppers with Picadillo ~ the classic Mexican version. Chili Stuffed Acorn Squash ~ a fun way to serve chili! 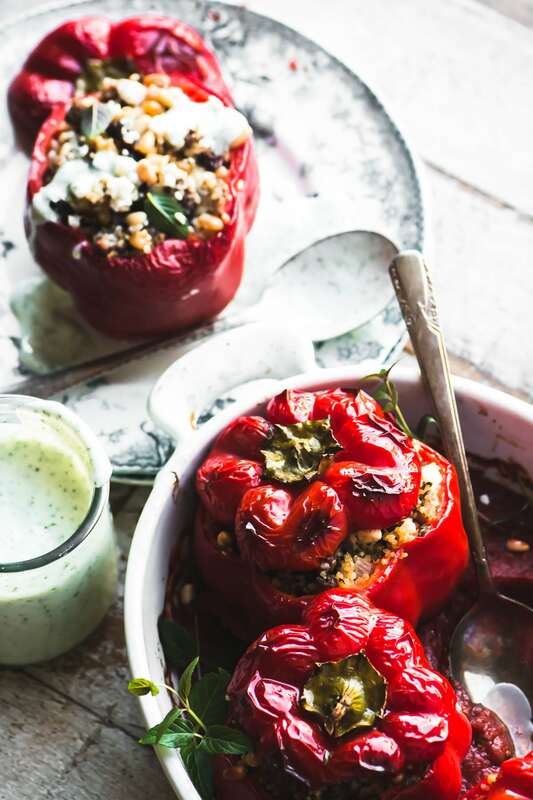 Stuffed peppers have never looked better, these are delicious! Wow we love lamb in our house! I know my husband would love these stuffed peppers! I will be making them soon – thanks Sue! FYI I also pinned your photo to my dinner board! This looks awesome! I can hardly wait to make this! I’ve made many of your recipes, and they are always so delicious! Thank you! Prettiest stuffed peppers ever Sue! And I love that filling. Gotta get these on our weekly menu! Sue, “the honorary Mediterranean chef”! You made a Wonderful dish! The stuffing is superb, and you are so right to not pre-cook the peppers. To keep them juicy, fork their “bottoms” once -so liquids can go in and keep them fluffy-. I was born in the wrong country, Alexandra ;) And great tip! No, stay where you are! There is no better! I feel like I’ve been transported to a fine little café in the Middle East. But I don’t have to pack my bags, I can just make these wonderful peppers!! Oh my, this is one gorgeous meal! Those peppers are mouthwatering and all that flavor packed goodness, wow. 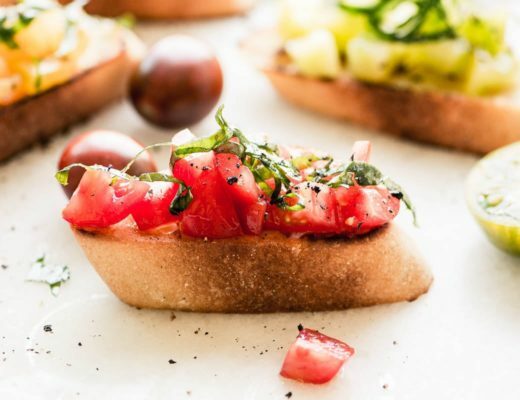 You knocked it out of the park again Sue – my husband would adore this recipe. You’re lucky, Grant hates stuffed peppers so we don’t have them often enough! It looks incredibly delicious! Now I really am tempted to give lamb a try!